In the recent post about puzzly videos and podcasts, xr kindly pointed in the comments to FLEB’s YouTube channel with sumptuously and skillfully made videos about puzzles. Most of them show puzzles being solved, and most of the puzzles being solved are wonderfully elaborate physical puzzles, featuring some of the most famous physical puzzles from the recent history of puzzle hunts along the way. Other videos touch on puzzle design and puzzle history. 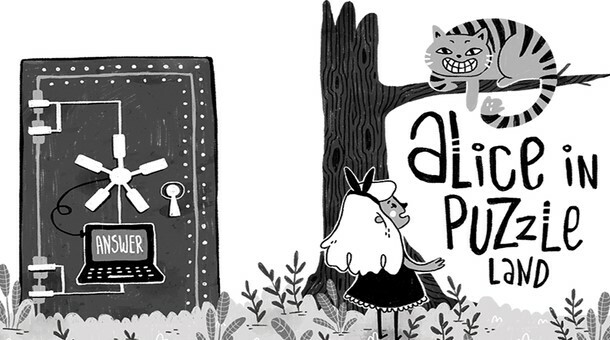 So you know what you’re getting into, the campaign links to a draft of one of those sections, and the child in question’s trap sees them becoming “Alice in Puzzleland”. The .pdf form of the book requires a donation of US$15, the printed copy a donation of US$25, and you can get the pair for US$30 (or signed for US$35). However, being a Kickstarter campaign, this will only happen if the campaign funds in its entirety. At time of typing, there are 21 hours to go in the campaign, and the campaign is just over 70% funded, with just over $7,000 left to be raised of the $25,000 goal. It’s known that nearly-funded Kickstarter campaigns often see an uptick in activity in their closing hours, relying on one more renewed push of activity and promotion, but the success of this one is particularly finely balanced, right on the knuckle; the Sidekick analysis tool suggests that the project has a 47% chance of funding completely in time. Are you the one who might push it over the edge and into reality?